How will Project Condor affect Digbeth’s ‘arch’ businesses? 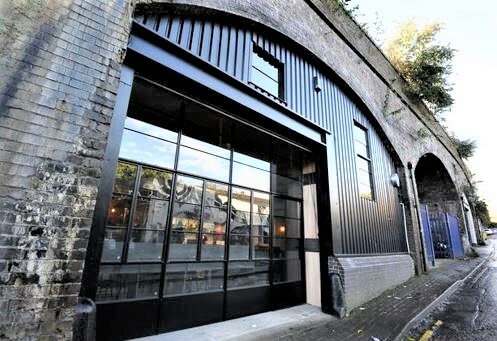 CoStar reports that through Rothschild & Co (condor.enquiries@rothschild.com), Network Rail has begun to sell its commercial estate and most of this property is located in railway arches. A mailing from the New Economics Foundation recalls that in 2015 Network Rail struck a bargain with chancellor George Osborne: “give us the funds we need for infrastructure upgrades, and we’ll sell off a big chunk of our assets. The railway arches are one of those assets”. Around 80% of the property is located in London, with much of the rest in Manchester and Birmingham. Occupiers of railway arches include restaurants, bars, offices, retail, leisure operators, breweries, car washes, gyms and healthcare centres. We were unable to contact Tom Maher, co-founder of Birmingham’s Original Patty Men, who serves locally sourced longhorn beef burgers – and more – to appreciative customers in one of Digbeth’s railway bridge arches (above) in Shaw’s Passage. Last year the Mail described its expansion plans to expand into the premises on the right, retaining the outdoor seating area in the space between the bar and restaurant with a bakery at the back. Will the OPM be adversely affected? We hope not. Network Rail’s sale is expected to attract attention from private equity and sovereign wealth funds who would find the average rents – at around £8 to £9 per sq ft – rather low, but CoStar reports that Network Rail has met stern resistance from small business owners, notably in Hackney, E1, and Brixton, SW9. Supported by the New Economics Foundation and the East End Trades Guild, a group of arches tenants from around the country (three above and many more pictures here) has formed Guardians of the Arches to oppose the sale and seek a viable settlement for the future. 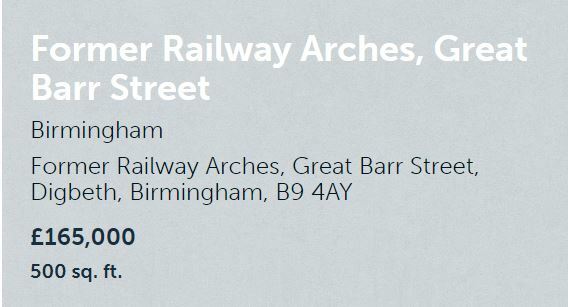 They are organising an open letter to Chris Grayling asking him to halt the sale and meet them to talk about the future of the arches. Thousands have signed this letter in just the first few days, and the group are planning a lobby of parliamentarians in June. Readers may sign as suggested below. The NEF article ends: “Like many public asset sales, it makes little sense no matter how you look at it. In financial terms, selling off the asset means Network Rail – and by extension the public – will no longer benefit from the steady annual rental yields generated by the portfolio. And it’s no excuse to say there’s no other way of funding infrastructure improvements. The Government is currently able to borrow at historically low interest rates, but instead they are forcing public bodies to sell income-generating assets to fund investment”. Click here to sign the Guardians’ letter to the Secretary of State for Transport.